FutureAdvisor is a robo-advisor that offers paid portfolio management and free analysis services. 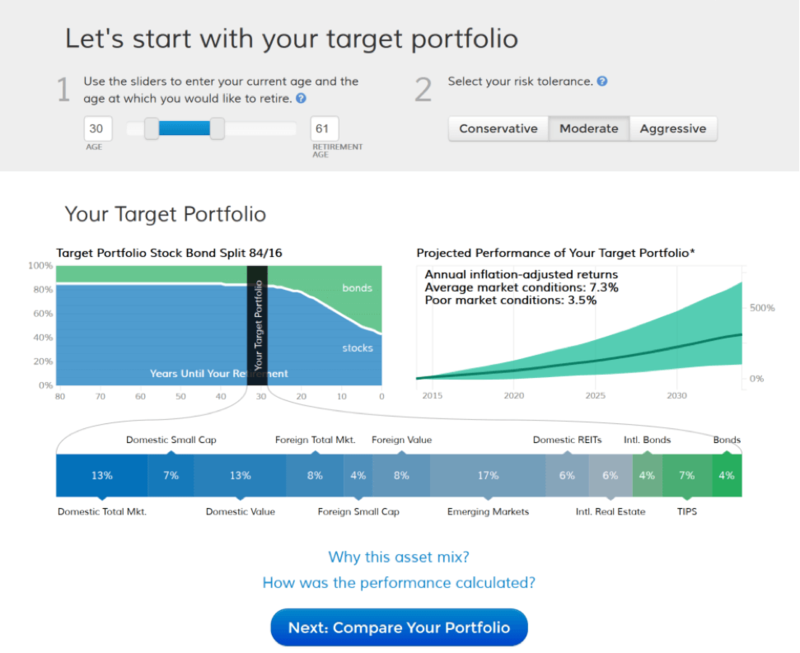 With a free account you can get portfolio analysis and recommendations on how to improve your investment strategy. Fidelity and TD Ameritrade accountholders can also use this robo-advisor to automate their portfolio management. FutureAdvisor has a higher management fee than some robo-advisors, but it provides access to human financial advisors unlike many cheaper options. Pricing: How Much Does FutureAdvisor Cost? It’s free to create an account. With an account you can also get free analysis and recommendations on your retirement savings. All you need to do is link your other investing accounts with your FutureAdvisor account. If you prefer not to link your accounts, you can manually report your holdings. Once you've provided your information, you can get analysis and recommendations to help you optimize your investments. The company offers a portfolio management service called FutureAdvisor Premium. In order to use this feature you need to have an account through Fidelity or TD Ameritrade. If you don’t have an account with Fidelity or TD Ameritrade, you will be advised on how to move your funds to one of those institutions. There's a minimum account balance of $10,000 and an annual management fee of 0.50%. This fee will be spread over four payments – 0.125% each quarter of the year. FutureAdvisor uses ETFs in its portfolios and the majority (over 90%) of funds has no trade commission. However, these trade commissions are dependent on the brokerages where you have your account. For example, a trade executed at Fidelity would cost you $7.95. Many robo-advisors charge no commissions to trade ETFs in your portfolio. Considering the average expense ratio for ETFs that FutureAdvisor uses (0.15%) and the 0.50% annual fee, the average annual cost for a FutureAdvisor Premium account is 0.65% of assets managed. An account is free. After creating an account, you'll be asked to answer some questions about your financial situation, your financial goals and the amount of risk you can tolerate. This is a similar process to many other robo-advisors. One difference is that this service makes a point of asking about your family. 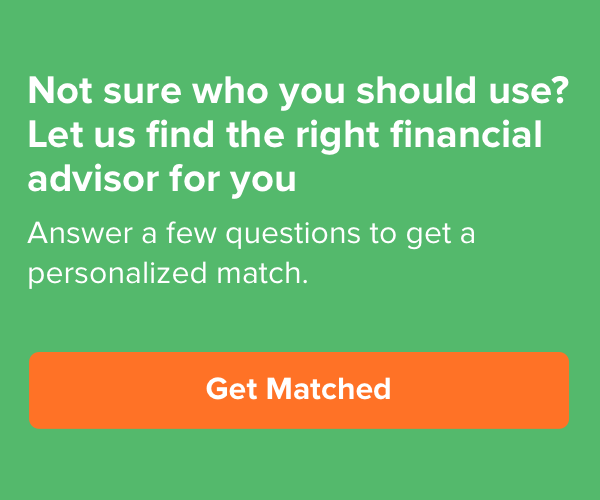 While many robo-advisors only ask about you individually, FutureAdvisor tries to take a holistic approach to understand who else is in your family and how they may factor into your investing goals. Portfolios are created using modern portfolio theory, which is standard among most robo-advisors. Modern portfolio theory is an investment theory that posits you can maximize stock market gains and minimize risk by investing in a balanced and diversified portfolio. This idea is widespread nowadays but before it was published in the 1950s, investors used the strategy of trying to predict individual “winning” stocks that would gain them the most money. The company also uses other well-tested financial theories and mathematical models to invest as effectively as possible. The company uses ETFs based on index funds in order to mirror the entire market. The exact funds used will depend on what brokerage you have an account with but your portfolio will be constructed from up to 12 asset classes. Trades are handled by software, but there is also a human financial advisor who monitors all trades. The company offers free portfolio analysis and advice when you create an account. An account is free (and so is the mobile app). This free analysis will particularly appeal to DIY investors who want recommendations about improving their investing strategy. All you need to do is link your other investing accounts to FutureAdvisor or manually report your holdings. With a FutureAdvisor Premium account you have access to daily tax-loss harvesting and automatic portfolio rebalancing. Tax-loss harvesting is a common portfolio management practice. When you lose money on ETFs in your portfolio, they are sold at a loss and replaced with similar ETFs. Selling for a loss like this will offset the taxes you pay on your gains and decrease your overall tax bill. Tax-loss harvesting would be tedious to do on your own every day, but the company has software that handles all the complexities. (Tax-loss harvesting only applies to taxable accounts. Retirement accounts don’t benefit from tax-loss harvesting.) At the same time, the company automatically rebalances your portfolio. Stocks grow at different rates and can quickly move away from your ideal asset balance, especially if you’re trading daily for tax-loss harvesting. Automatic rebalancing ensures that stocks in your portfolio stay in balance. Fidelity and TD Ameritrade accountholders will benefit from FutureAdvisor’s management service. In fact, you can only use the services in FutureAdvisor Premium if you have an account with either Fidelity or TD Ameritrade. One concern raised about robo-advisors in general is the fear of investing thousands of dollars through a company that has only been around for about 10 years. This robo-advisor addresses that concern by partnering with two well-known and well-respected brokerages. If you have an investment account with brokerages other than Fidelity and TD Ameritrade, FutureAdvisor will advise you through the process of transferring your assets. You can access a team of human advisors through phone, online chat or email. This is a useful perk for people who are new to investing or just don’t feel comfortable with completely automated portfolio. There's also a financial advisor monitoring all trades as a back-up to the management softwares. DIY investors with a free account will enjoy the free portfolio analysis. You won’t get access to things like tax-loss harvesting and automatic rebalancing, but analysis and advice is enough for some investors. A FutureAdvisor Premium account is great for people who need help managing the investments in their Fidelity or TD Ameritrade accounts. You can still benefit from FutureAdvisor’s services if you don’t already have an account with either of those brokerages. You just need to create an account with one of them first. Working with Fidelity and TD Ameritrade, two well-respected brokerages, will also give a sense of comfort to people who are hesitant about investing with startup robo-advisors. FutureAdvisor’s services are all online so you can take a hands-off approach if that’s what you want. However, you still have access to a team of financial advisors for those times when you need help. The company’s fees are a fraction of the cost of a traditional financial advisor, which is great for fee-conscious investors. 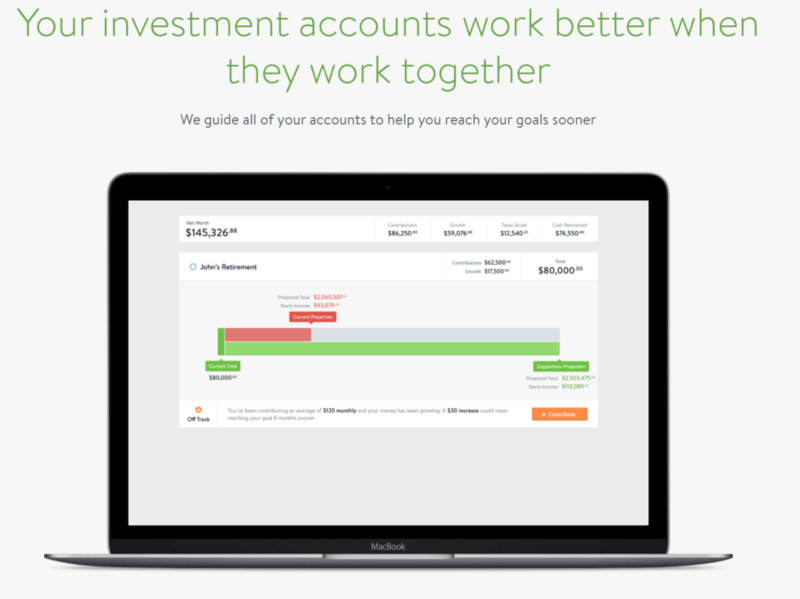 The company also offers more account types than some robo-advisors. One example is 529b accounts, which you can use to save for college. Creating an account is free and simple. Just go to the website to create a login. This free account will be enough if all you want to use is the free portfolio analysis services. You can also download the mobile app for free. If you want this robo-advisor to manage your portfolio, you will first need to make sure that you have an account with either Fidelity or TD Ameritrade. There is no cost to open an account with either of those brokerages but some account types (like individual taxable accounts) may require a minimum payment. To set up a FutureAdvisor Premium account, you will have to answer a few questions about your financial situation, goals and risk tolerance. Then the company will create a portfolio for you based on your answers. Your portfolio will consist of ETFs from multiple asset classes. You can learn more about how specific ETFs were chosen and why their specific allocations were selected. The only other thing to do is give the company permission to manage your account and make trades on your behalf. The company is only a third-party manager of your money. ETFs will still be traded through whatever broker you have an account with. If you decide at any point that you don’t want FutureAdvisor managing your portfolio anymore, you can cancel your account with it. Your money will still be available through your brokerage (Fidelity or TD Ameritrade) for you to handle however you want. A minimum balance of $10,000 is required. This is high and can deter investors without a lot of money to invest. There is also an annual management fee of 0.50%. This fee is lower than traditional financial advisors but you could easily find reputable robo-advisors with fees around 0.25%. An important consideration is that many cheaper robo-advisors don’t offer access to human advisors. Other robo-advisors offer more advanced management features and tools. If you are a serious investor, you may want a robo-advisor that uses things like direct indexing to help you save more on taxes. The ability to buy fractional shares is useful for people who don’t have a lot of money but still want a well-diversified portfolio. If you are investing a lot of money, some robo-advisors offer access to dedicated human advisors or experts in specific topics, like estate planning. For people who can manage an investment portfolio on their own, FutureAdvisor doesn’t offer anything that you couldn’t do yourself. Automatic rebalancing and tax-loss harvesting, the service's two biggest features, can be done by any individual with the time and know-how. The company uses tax-loss harvesting every day on your portfolio, but you can still save on your tax bill if you do it less frequently. FutureAdvisor is a third-party manager of your money. This means that unlike most robo-advisors, you do not invest your money directly through it. Instead you need to open an account with a brokerage (either Fidelity or TD Ameritrade) and then you can let the robo-advisor handle your account. So people who don’t already have an account with one of those two institutions will need to create two accounts. This just adds an extra layer of complication. Competition: How FutureAdvisor Stacks Up? As mentioned earlier, the minimum balance and management fee are higher than many other robo-advisors. The trade-off is that cheaper options may not offer you any access to human advisors. Wealthfront, one of the largest robo-advisors, has a management fee of 0.25%. It requires a minimum investment of $500. You can’t even start investing with FutureAdvisor unless you have $10,000. Wealthfront provides tax-loss harvesting and automatic rebalancing to all accountholders. It also offers more advanced features, like direct indexing, once you invest more than $100,000. Wealthfront doesn’t provide any access to financial advisors. Another well-known robo-advisor is Betterment. Betterment offers a basic plan for a 0.25% fee and no minimum investment. Investors with at least $100,000 can also access another plans with Betterment. This plan comes with a 0.40% fee and provides unlimited access to human advisors. If access to advisors is important, Wealthsimple offers very similar fees to FutureAdvisor with access to human advisors. Wealthsimple also charges no fee for your first $5,000. If you already have an account with TD Ameritrade, you may want to consider Essential Portfolios, the company's new robo-advisor service. TD Ameritrade Essential Portfolios is relatively bare-bones but it gives clients a fully automated portfolio of ETFs. The minimum to invest is $5,000 and the management fee is 0.30% Both of these figures are lower than FutureAdvisor. Essential Portfolios doesn’t have any human advisors and doesn’t offer tax-loss harvesting. Otherwise, it offers similar features to FutureAdvisor. Bottom Line: Should You Use FutureAdvisor? FutureAdvisor’s free portfolio analysis is useful for anyone trying to handle their own investing. The paid plan, FutureAdvisor Premium, is great for anyone who already has a Fidelity or TD Ameritrade account and wants some help managing their portfolio. If you don’t already have an account with one of those brokerages, a number of robo-advisors offer lower fees than FutureAdvisor with more management features. The one advantage this robo-advisor has over many cheaper options is access to human financial advisors.